This past July we had the opportunity to visit Scotland after an epic adventure in Ireland with Adventures by Disney. We never like being away from our fur-baby Sally for too long, so we figured that after 8 days in Ireland, our little bernedoodle could manage another 6 days without us (a BIG thanks to our puppy sitters, Alli’s parents!). We decided to blitz through Scotland by car, and in 6 days we did just that. We drove over 700+ miles, stayed in three hotels, we (mostly Bobby) tried over 20 different unique scotches, drove on countless slow, windy roads, we saw highland cows (Alli’s dream! ), and we oo-ed and awe-d over breathtaking scenery. 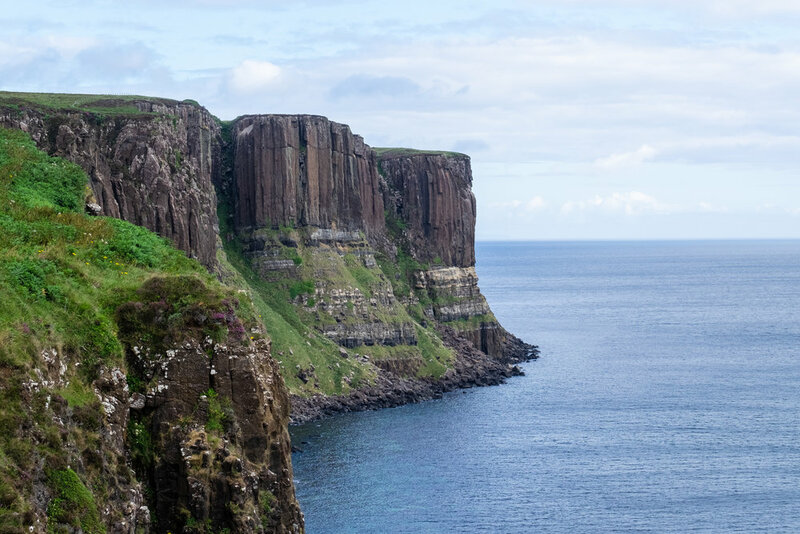 All that to say, we’re going to break this recap blog into three chunks… this one will be focused on Speyside (where much Scotch is made and was drank), another will focus on Edinburgh, and the third will share all about the Isle of Skye (no doubt one of the most underrated places we have ever seen). We hope you enjoy them both! Our journey in Scotland started and ended in Edinburgh. We always rent a car wherever we go, because we like the freedom of exploring on our own. We rented through Auto-Europe, (they are AWESOME because they scan all the companies for you and find the best deal!) We ended up with a small wagon from Europcar, and after a quick check-in we were on our way! Before driving out into the country, we made a quick stop in a small area of Edinburgh called Leith. Alli’s dad is named Leith, so we figured we should probably check it out... And we were blown away at how cool Leith is! This little port town is full of hip restaurants, cute shops, and picturesque streets. If you have a few days in Edinburgh, it’s definitely worth a visit. Our first destination in Scotland (and the focus of this blog) was the Speyside region. Speyside is a lush, fertile valley situated along the River Spey, and it has the greatest number of whisky-producing distilleries of any region in Scotland. (Basically, Bobby’s HEAVEN!) Balvenie, Glenlivet, Glenfiddich, Macallan, Glenfarclas, Aberlour, Benriach, Glen Moray, Craigellachie… they’re all here (plus 20 more!). If you love whiskey and you love beautiful scenery, move Speyside to the top of your bucket list. It goes without saying that the drive to Speyside is beautiful. Many people day trip there from Inverness or Aberdeen for tastings, but we would encourage you to stay in the heart of it all. We stayed at the Craigellachie Hotel in Speyside, and it was the very definition of charming. The Craigellachie is like a countryside home with a warm, welcoming staff and modern touches. It also boasts the best pub in town in The Copper Dog, as well as one of the best whisky bars in Scotland in The Quaich Bar (Over 800 single malt scotches!). Note from Bobby: If you’re adventurous, you should try some of the cuisine that is traditional to Scotland. The most famous is Haggis, and I won’t tell you what it is or you probably would stop reading. (I WILL say that we both had it, and I actually liked it.) Then there is Black Pudding, aka Blood Sausage, which is made from pork blood, oats, and some other miscellaneous ingredients. (But it’s mostly blood.) I ate it (feeling quite invincible from enjoying Haggis), but when the waitress told me it was mostly blood, I definitely turned green. Ha! Regardless, their worth a try if you’re up for it! The Speyside region is a great place to be lazy, especially if you’re staying at the Craigellachie. 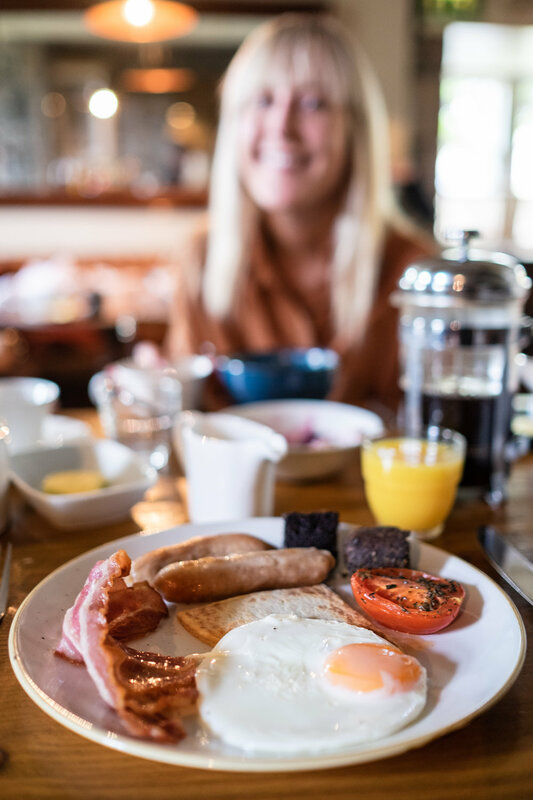 Have a slow morning with breakfast at the Copper Dog, do a distillery tour or two along with some tastings, and then spend the afternoon in your room reading a book. The views are spectacular, so definitely rest and enjoy them. But if you’re like us and you can only sit still for too long, go explore! Overall it’s not too large of an area, so you can day trip in any direction and be back in the afternoon. 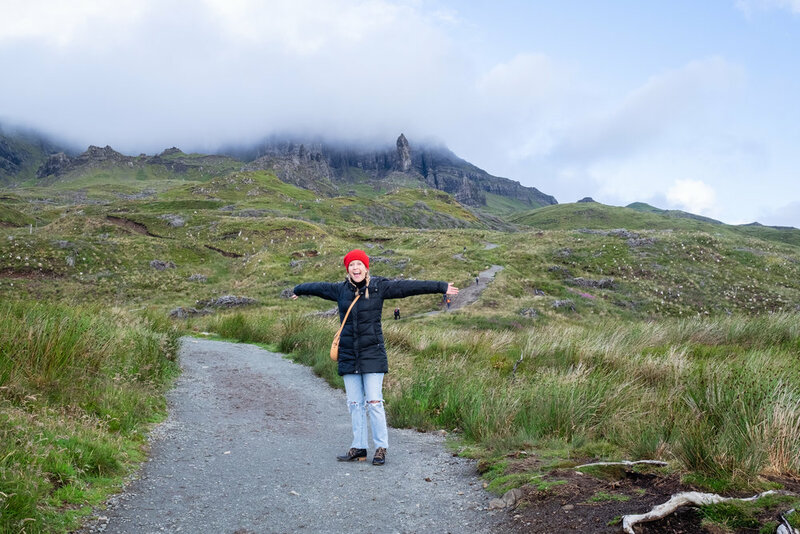 We had no idea what was in store for us when we visited the Isle of Skye. We decided to go there on a whim, and this last-minute decision ended up being one of our very favorite places in the world. We're going to keep this really brief and simply share a ton of photos, because the landscapes were the best part (and pictures mean a thousand words, right?). Photos don't do this place justice at all, so consider this a teaser. For those that are planning a trip (and we really hope you do!) Cross your fingers for good weather, rent a car, reserve an AirBnB, and get over there before the secret gets out... Skye is spectacular. Last thing... zoom in on some of the photos towards the end and see if you can find people hiking. It gives some good perspective!